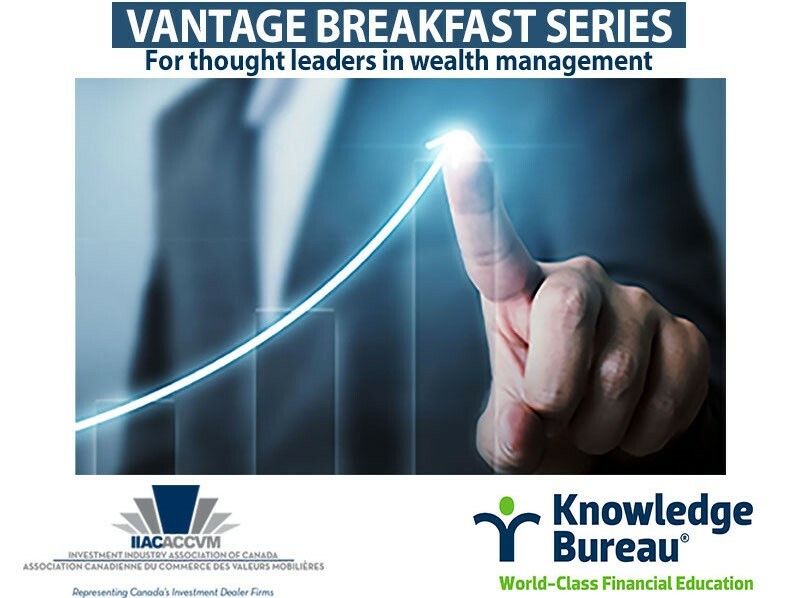 The Investment Industry Association of Canada (IIAC) and Knowledge Bureau are proud to introduce the Vantage Breakfast Series for Thought Leaders in Wealth Management, taking place on May 9th, 2019 at the National Club in Toronto from 7:30-9:00 a.m. The Vantage Breakfast Series will be taking place twice a year, bringing together thought leaders to hear first-hand perspectives on issues facing today’s wealth management firms from the leading minds in financial services in Canada and internationally. You don’t want to miss the opportunity to join other thought leaders in the financial and tax services fields. Attendance is limited to 70 thought leaders with many tickets already sold, so please be sure to purchase your ticket(s) and/or a table for your firm today. Early Bird pricing is in effect until April 15, 2019. Tickets at iiac.ca/events/upcoming-events or www.knowledgebureau.com/vantage. Registration Deadline is May 7, 2019. Theme: Powerful Competition: The Secret to Economic Resilience RSVP NOW! Ask us about early registration discounts and earn up to 15 CE/CPD credits.